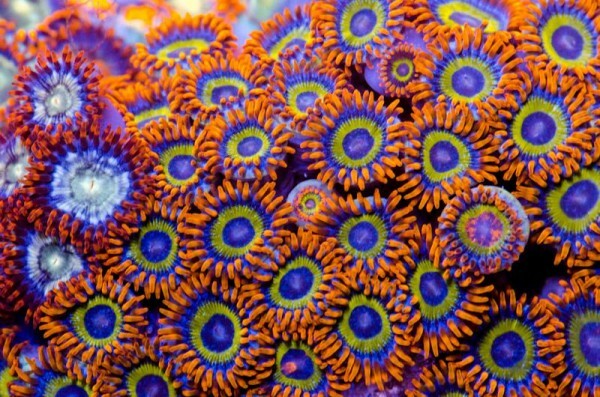 This month’s zoa spotlight will feature the “Fruit loops” zoanthid. 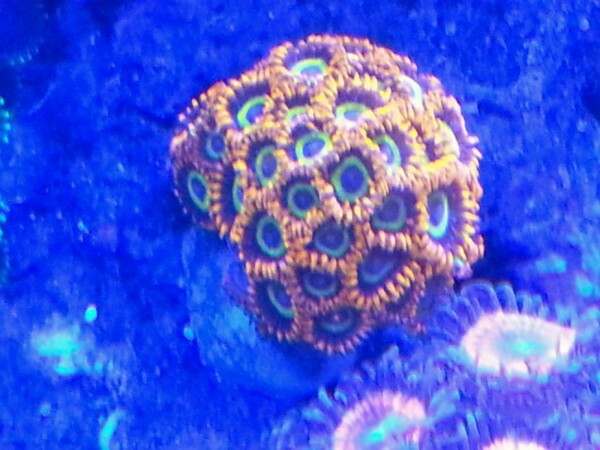 These tiny zoas are in almost everyone’s top 10 most wanted zoas list. They are also in most people’s top ten want, but can’t have (because they are notorious for melting away) list. I will shed some light on a common misconception often attached to these beauties to give you a better understanding of placement and flow so you can be more successful with them in the future. I spoke with Andrea Stockhausen (a local wholesaler) about the origin of the fruit loops. She said that for the last few years she has received all the deep water Japanese zoos from the South China Sea Region. Wait, what? They are not from japan because coral exporting is illegal from that region. Yep, it some marketing hype! She spoke with the collectors of these corals and this so called “deep water” zoas where collected from shallow water; less than 20ft depth. What does this mean? Where these corals were collected is around 15ft depth. This means the PAR of the lighting in these areas are around 400. I think the biggest confusion comes from the fact that people understand “deep water” corals to mean they have to be placed as low/deep in the tank as possible. Actually I too believed this misconception and kept the majority of my fruit Loops very low in my tank. After speaking with Andrea I am going to move a few of my frags higher in the tank and see how they accept this change. 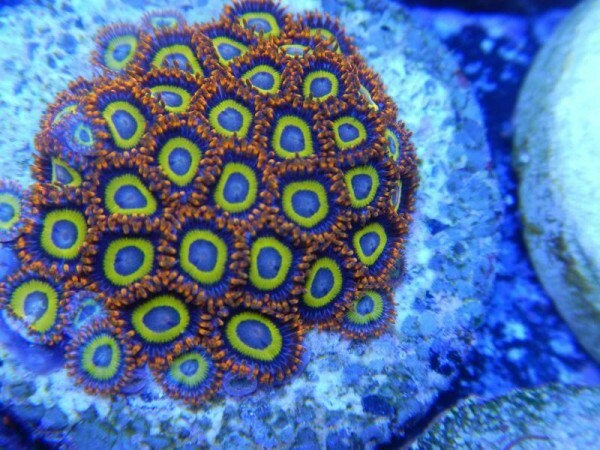 In the Reef2Reef Club Zoa forum we have spotlighted this particular morph so we can see where and how different members have successfully kept Fruit Loops healthy and thriving. R2R member “Playin gmz” said “I have mine on the sand bed and on the frag rack (up high) and the seem to do well in both locations. The mother colony does occasionally stay closed for a day or two.” And he shared the following photos. member “Ugluk” wrote “One of my favorites. Very delicate though, have a very hard time fragging. They grow well under high light low flow for me.” And posted this picture. 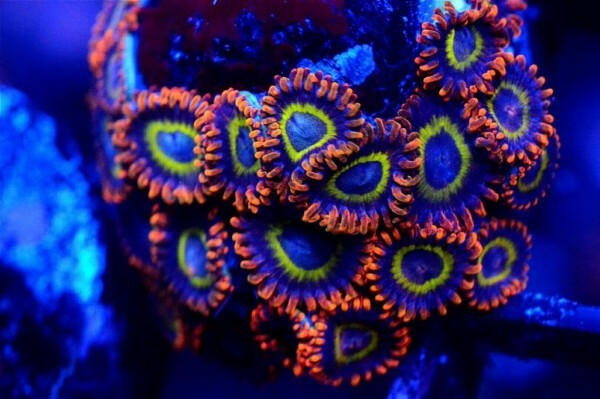 “Dmjr1201” said “Mine are medium light medium flow, started with 6 polyps.” And posted the following photo. 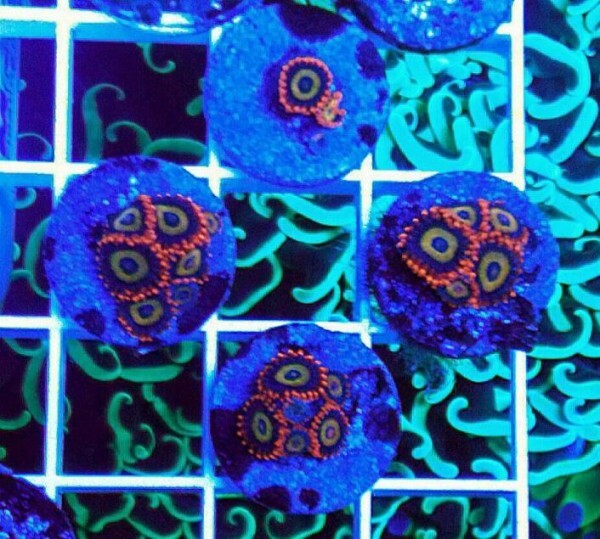 “Christopherkriens” crashed our party and said “I’m an acro guy but I’m gonna crash your zoa party because I really like these. Took me a couple tries but I’ve got a little colony going:” And posted this amazing picture. Lastly the biggest slacker, myself, posted the following photo. 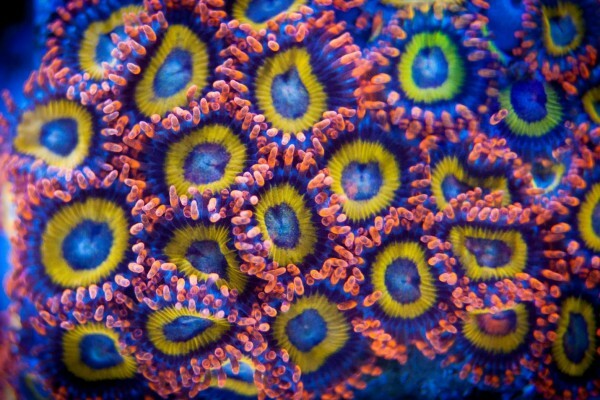 All in all I believe that the majority of zoas adapt to most conditions as long as the tank parameters are in order. 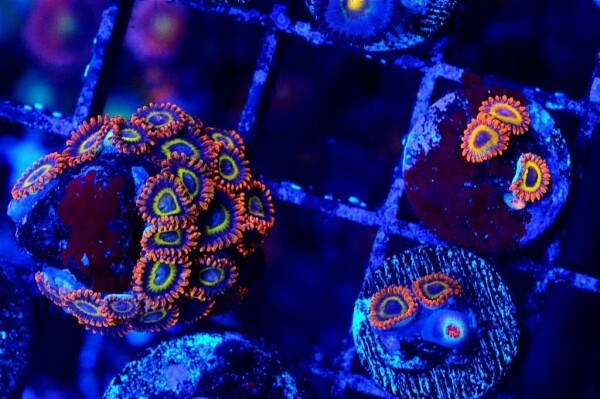 A few tips from me would be to always inspect your corals before purchasing to make sure they are not freshly cut and always ask about prior growth conditions. Where in the tank were these placed, what is the lighting like, flow, etc. Try to house the corals in the same conditions as the person or company from whom you purchased them from if possible. If your lighting is stronger then it’s best to let your corals acclimate to your tank before moving them to their final placement. Click here to check out the original thread on Reef2Reef. 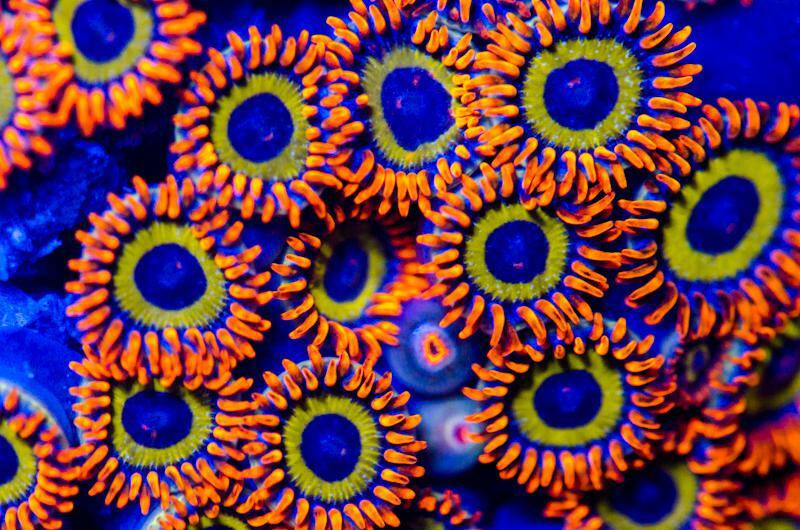 If you have your own zoanthid questions or want to share advice for others then visit our Zoanthid forum here on Reef2Reef!